Designed by the same man that built Royal St George’s, and subsequently refined by renowned architects James Braid and Alister MacKenzie, and latterly Donald Steel and Peter Alliss, Littlestone Golf Club is one of England’s most revered links courses. 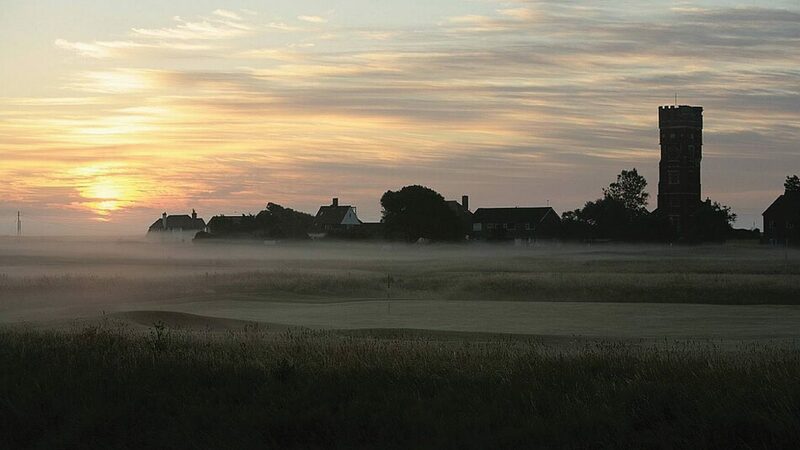 Host of the first Ladies Championship in 1894, countless final qualifying tournaments for the Open, and numerous elite amateur events, Littlestone is steeped in golfing history. 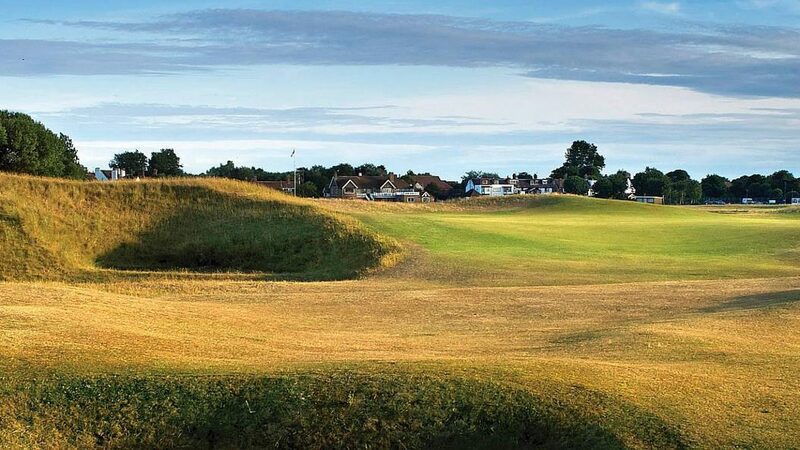 With the exception of some new back tees, visitors will find the course largely unchanged since MacKenzie’s day, and will discover a classic flat, fast-running links measuring 6,438 yards off the whites. From most tees everything is laid out in front of you, although there is the occasional semi-blind shot. 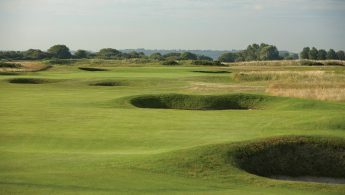 Numerous deep and well-placed bunkers and quick greens ramp up the challenge, while the closing stretch is among the most formidable to be found. As well as the Championship course, Littlestone also offers the Warren Course, a 5,242-yard, par 67 course that is a great introduction to links golf and is ideal for societies with a wide range of handicaps. 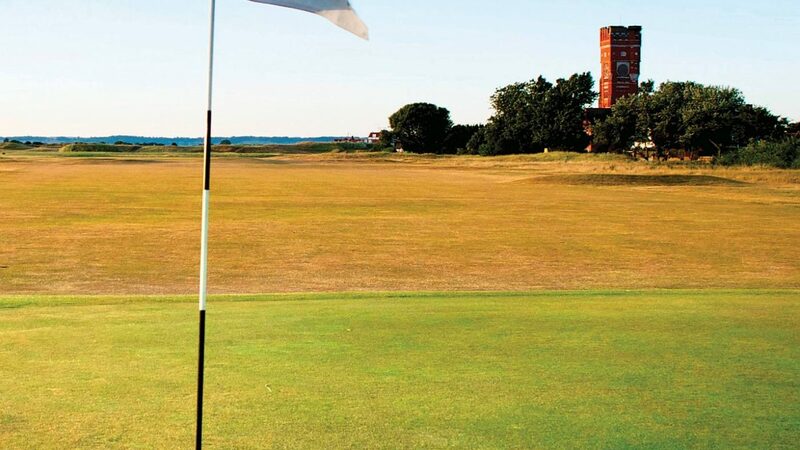 Set on the edge of the famous Romney Marsh, the free-draining course offers fast-running fairways defined by natural dunes, thick rough and classic links bunkers. Societies are welcome on both courses, and in addition we can add to your day by providing range balls, a golf clinic, a welcome bag, one-to-one lessons or a host of other ideas to help you enjoy your day. 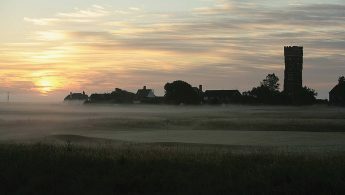 Coffee, bacon roll, 18 holes and 1-course meal £73 (£53 winter). 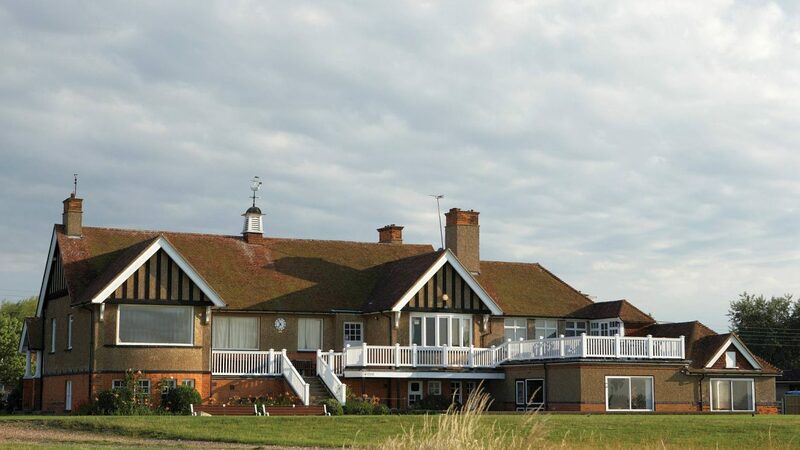 Warren Course: Coffee, bacon roll and 18 holes £22.50 (winter price £18); add £6pp for a two-course meal. M20 from London, come off at Junction 10. Club is two miles east of New Romney, 15 miles south of Ashford. Championship Links Summer £80 Winter £50. Twilight Championship £50 and Warren from £12.50. Visitor Restrictions: Visitors and Societies are welcome during weekdays after 9.30 and on Sundays after 11. The Championship Links is a 2-ball course, although 4-balls are welcome on Wednesdays after 9.30 am and after 11am on Mondays, Fridays and Sundays (after 12 in summer). There is a wide range of guesthouses and hotels nearby. Ask the club for recommendations. Clubhouse,restaurant, bar, driving range, pro shop, club and trolley hire.